Many bloggers, influencers, and brands want to know how to get more likes and comments on Instagram. Instagram Pods might be the best solution! Taking into account the upward trend, The ultimate guide to Instagram Pods with 180+ clickable links has just been published. This ebook will uncover all the secrets behind Instagram pods! Don’t even know what an Instagram pod is? Instagram Pods, also called “Engagement Pods,” are a private group of Instagrammers who have agreed to work together by liking and commenting on each other’s content in order to show how popular a post is on Instagram. In just 32 pages, this book will explain all you need to know about what they are, their main functions and features, and how to join them. This detailed guide is a quick way to learn about Instagram pods, furthermore it is simple to read and answers any questions you might have about Instagram Pods. It provides step-by-step instructions so you can immediately start learning how to use Instagram pods. 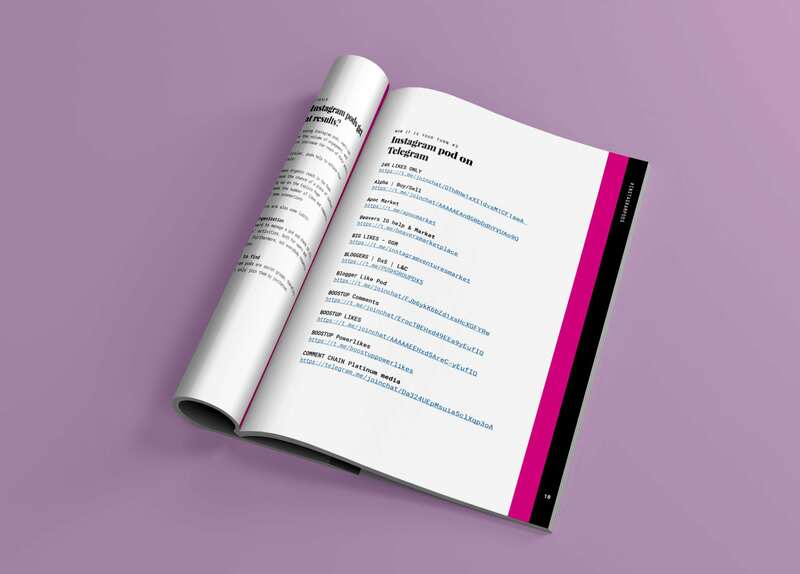 Not just a guide to Instagram pods, this ebook also contains more than 180 clickable links to join Instagram pod groups on Facebook, Telegram, and WhatsApp. In addition, there is another exclusive list of different kinds of groups where people can help each other to promote visibility and share the latest, trending social media tips. Inside these groups, you’ll find influencers, bloggers and emerging brands eager to support each other with likes and comments on Facebook or views on Youtube and blog posts! The primary purpose of this guide is to help Instagrammers get more real likes and comments. Getting the most number of qualified interactions is a primary goal. Instagram pods are a free and easy way to get tons of likes and comments. You’ll connect with other qualified users who have the same goals as you! When a piece of content posted by a user on Instagram receives many quality interactions in a short amount of time, its visibility increases. 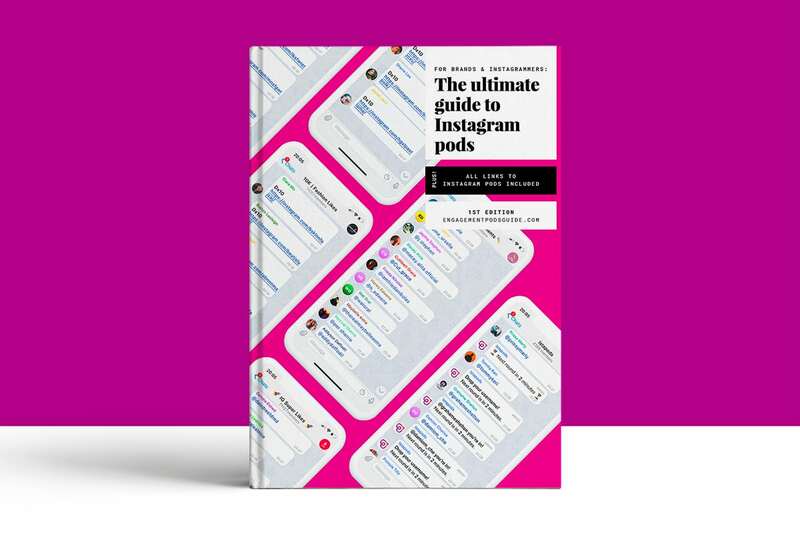 This ebook will give you all the informations you need to know about what Instagram pods are, their main functions and features, and how to join them. Using the links above you’ll be able to join the best pods across different social networks like Telegram, Facebook, and WhatsApp. 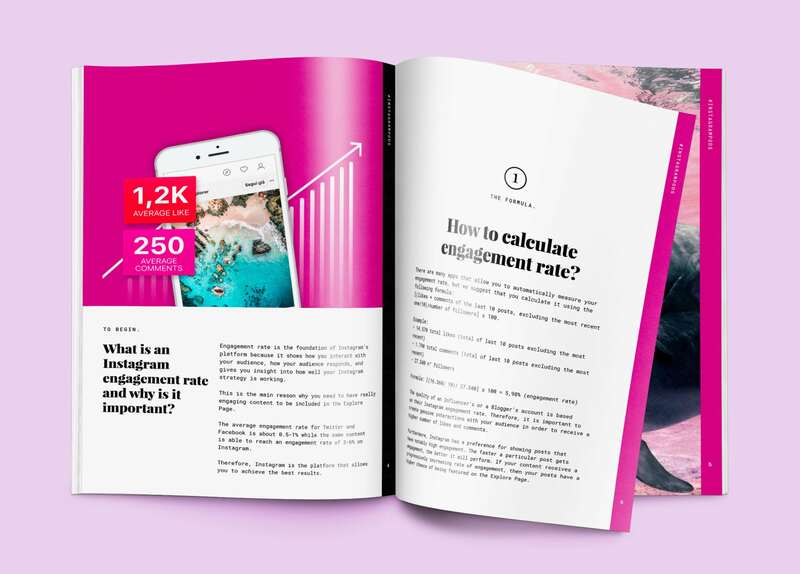 The purpose of this guide is to boost engagement value so you’ll have a winning strategy and see amazing positive results! Catch up on the best ways to use Instagram pods in 2018! For more information please visit engagementpodsguide.com. Use the Promo Code “SETTOREQ30” to get 30% OFF.